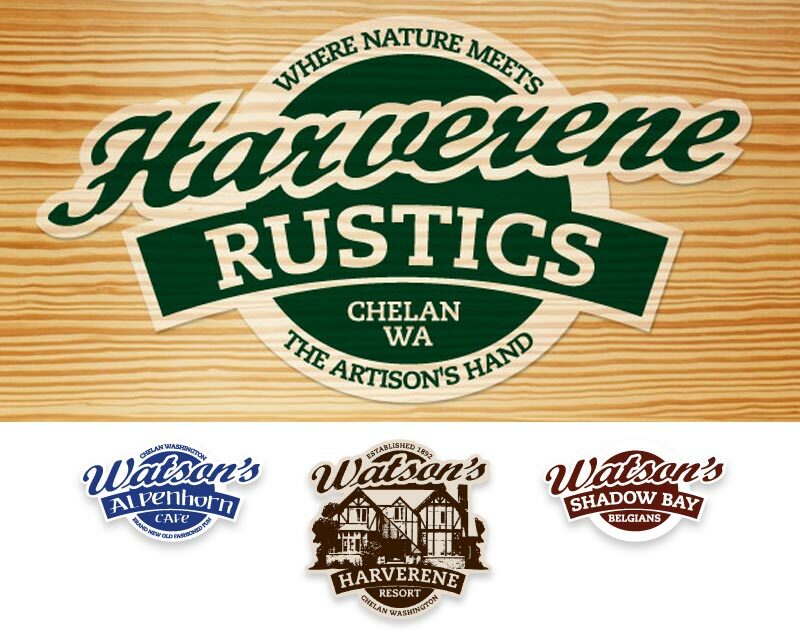 Design Hovie Studios has designed the new logo for Harverene Rustics of Chelan Washington. Harverene Rustics is a new company of the Watson's group that designs and manufactures rustic furniture. 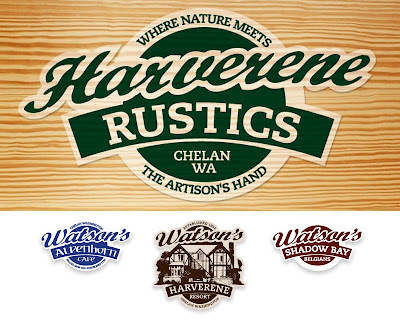 The logo ties in to the existing Watson's brand (also created by Hovie) which includes Watson's Harverene Resort, Watson's Alpenhorn Cafe, and Watson's Shadow Bay Belgians. Design Hovie Studios is the creative company of international graphic designer Hovie Hawk. The studios (Seattle and Chelan) specialize in creating logos, brand identity systems, print collateral, and web design for local, neighborhood, boutique firms in the USA and Italy. Copyright Design Hovie Studios 206 669 2894. All Rights Reserved. Simple theme. Powered by Blogger.